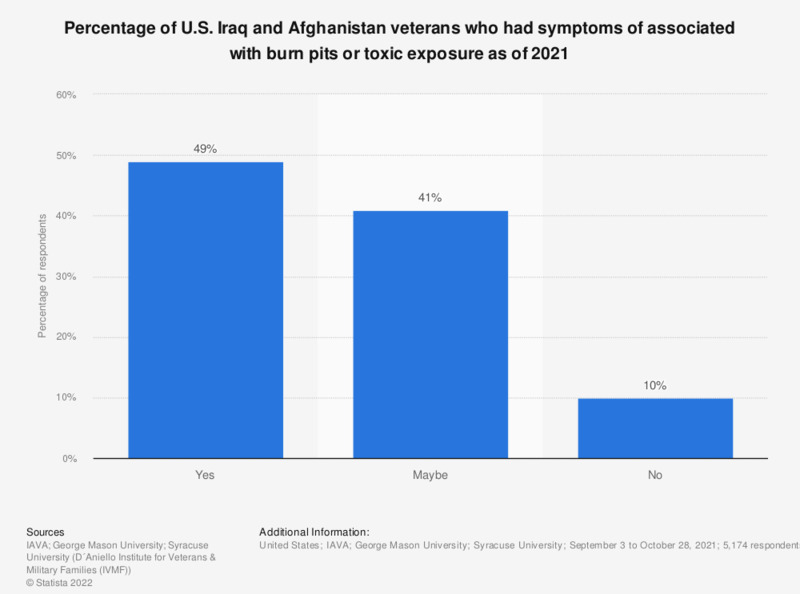 This graph shows the percentage of U.S. Iraq and Afghanistan veterans who had symptoms associated with exposure to burn pits or toxic exposure as of 2018. According to the data, 39 percent of veterans had symptoms associated with burn pits or toxic exposure. Original question: "Do you believe that you have symptoms associated with burn pits or toxic exposure, such as respiratory issues?"